It's been a while since I've last done a garden update, so I thought it was about time I made another! I am so not a winter girl, the gloomy weather seriously affects my mood and generally I feel as though I'm endlessly waiting for better, sunnier days to come. Needless to say, I'm pretty damn relieved that Spring has arrived and with it, my positivity and happiness has had a much needed oomph. The good weather has also meant that I've been able to get out into the garden more; our house is so dark, so this has definitely been hugely welcomed! I've even managed to sit at the back of the garden for my morning coffee without turning into a snowman. Did I mention the outdoor cushions even made a return this week!? Last year we started trying to add more privacy to our garden. With half-height walls, we're exposed the neighbours on the left and also the street on the right. Last year, we added some reed screening to the cut-out fencing above the wall and then planted two climbers which we hoped would give us more privacy as they grew. Several months on and they're certainly making a huge difference. In fact, I'm a little worried if I don't keep on top of pruning, they're going to take over the entire wall and road on the other side! We can still see the road, but it's heaps better and I have no doubt in a few months time, we'll barely be able to see through the fence at all. We do have other areas of the garden we'd like to make more private, in particular where we'll be adding a new french door and patio area. We'd really like a little more privacy from our neighbour whose back door and patio is on the other side of the wall. adjacent to ours. There is reed screening on their side, but it's not great. We don't want to be planting climbers near the house and we certainly don't want to plant anything that's going to cause our neighbours a headache with pruning either, so we've opted for some bamboo here. 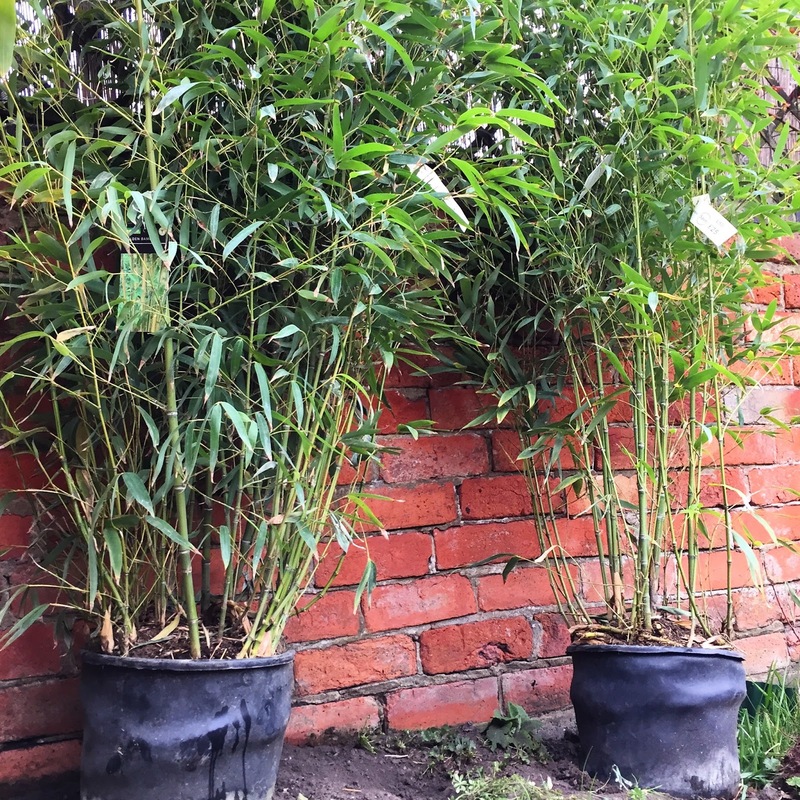 I love love love bamboo, it think it has a slightly tropical edge, it's evergreen, completely hardly and its bushy appearance is perfect for adding a touch more privacy. The bamboo wont poke through the fence onto our neighbours side either, it'll simply stand against the wall. I picked up two giant pots of bamboo (seriously, they're taller than me!) from Homebase at just £25 each. This was a MEGA bargain because I had initially bought one from crocus.co.uk which was about 15cm tall for the shocking price of £20! Homebase certainly offered WAY better value for money here. I intend on building another raised bed to put these in, but I'm hoping this area of the garden will become a lovely little spot for a small table and couple of chairs when we finally have some decking in place. I'd quite like some more lighting around this area too but I think this is where most of our work in the garden is going to happen this year, so I'm sure they'll be some mega changes soon! A quick tidy up and it's looking heaps better, although the render could do with a bit of a pressure wash after our dogs peeing up it daily. I'm really pleased that all four rose bushes have heavily jumped back into life; if you've followed my blog from the beginning, you'll know we originally moved three of the rose bushes from the now lawned area. Some of the roots got a little damaged and unfortunately they immediately lost their leaves and I feared they had died. They did come back to life last year, but none of them really flowered. They're looking MUCH healthier this spring and I have high hopes for some mega blooms! I also picked up a couple of other plants and extended the bedding area around the pallet seating. The mower was really struggling to cut close to the wood and I was getting lazy with doing it by hand, so I decided to simply extend the bedding instead. It now looks much neater and the two new plants add a little more colour too. We actually owned both these plants in our old house, the pink bushy one was my absolute favourite, so I'm pleased to bring it back into our new garden too! Having spent so much money at Homebase, I managed to picked up some yellow primroses for absolutely free, so I've added these around the edge of the bedding. I know you're meant to mix-and-match with these and have quite a few clumped together, so mine probably look a little sparse, but hey - they were free. Instead, I just picked up two which I've hung up outside the conservatory for now. They're surprisingly really bright and I love the pop of the colour they bring to this dull side of the garden! We still have heaps to do in the garden obviously, but it's looking much tidier already and I literally cannot wait for sunnier days! I should probably also own up and admit our garden isn't quite as tidy as I'm leading on... Yes, we still have a 'skip pile' ready to take to the dump. I swear rubbish is ever evolving in this house (obviously that ladder is not for the skip!) and I certainly don't think this will be the last of it - but for now, I'm enjoying my much tidied and spruced up garden. 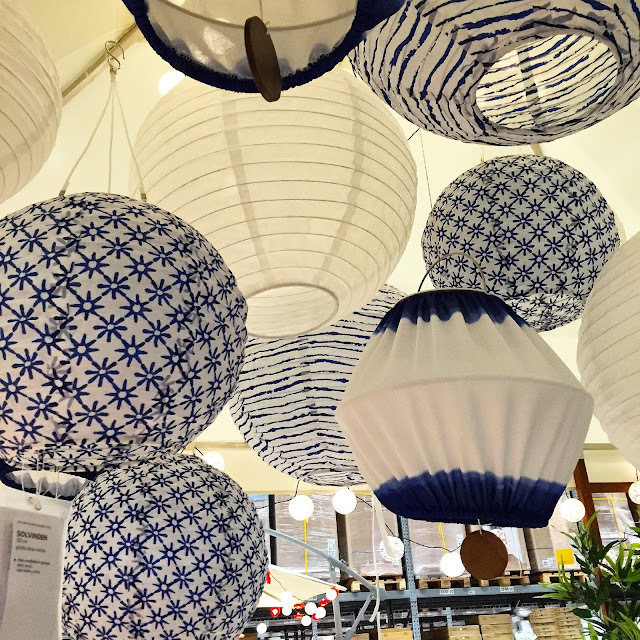 Have you been enjoying the gorgeous spring sun too? What are your plans for the garden this year? Hi, I'm so glad I found your blog. Looking into fixing our garden too and you give some great tips and ideas. I have just digged out our bamboo and hate it since last year. When we moved into our house 2 years ago I thought wow the bamboo is amazing. It gave the garden oriental look. But a year later we ve discovered that it's spread like a weed and is actually a weed. It started popping out everywhere. It's roots spread 4 meters each side which we did not realize first until decided to cut it complitely. It went into the neighbours side too, but lucky or not they have concrete panels and all they have to do is cut it and treat it with a killer. This is great! Quick question on your outdoor lanterns... do they blow out of control when it's windy? Also... just read this blog (http://www.kezzabeth.co.uk/2015/05/building-raised-bed-with-deck-boards.html#.V3UO1bgrKM8) and I it gave me total inspiration to do the same in our front garden, which I am currently turning into a driveway. I too would love sleepers, but they're just too expensive. I am off to Wickes this evening to get my decking boards. No they don't blow out of control, I secured them with twist-wire (the kind you use on plants) quite low to the actual lantern part, so they're nice and secure on the fence. They blow a little obviously, but nothing dramatic or out of control!